They tricked us by giving away ProGlide razors and they are all gone! Sometime on Thursday Old Spice will be giving away 10,000 free samples on Facebook. 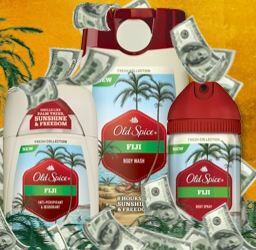 We don’t know exactly what the freebie is, but we are guessing it’s the new Old Spice Fiji product. Keep an eye on their Wall! It is live now.Grab it fast.